tell me a little bit about yourself? Melbourne born & raised? what is your professional background? 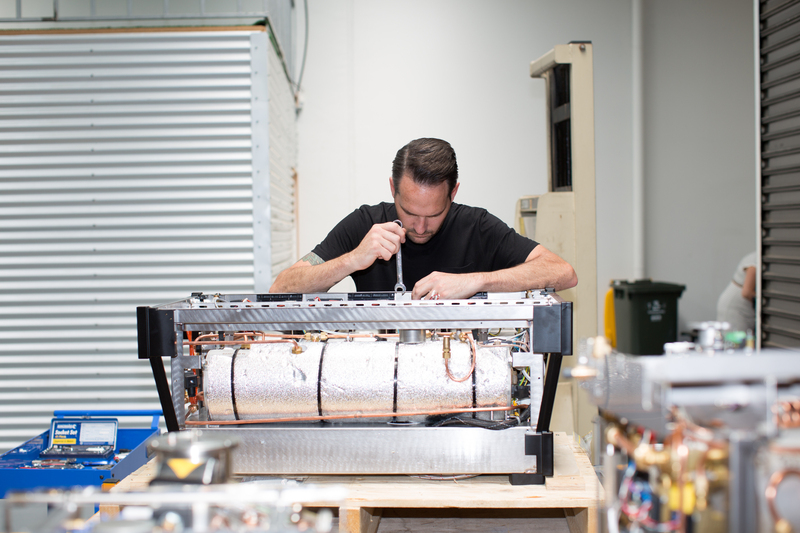 Well, I’m a 36 year old coffee obsessed coffee machine customiser from Melbourne! I’m a very proud father, husband and dog owner! If I’m not catching up with mates, eating or drinking, we are generally mucking around with interior design. I was born in QLD, where I spent most of my life before I moved to Melbourne in 2006. I’m a cabinet / furniture maker by trade. I also spent several years as a project manager. how did the business get started? 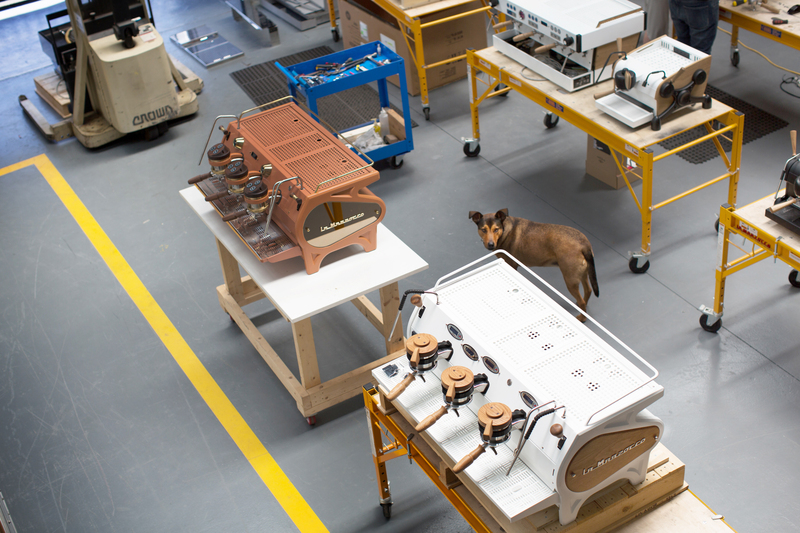 how did customising and refurbishing espresso machines become your thing? I started the business as a hobby to be honest. I searched high and low to find someone to make me timber handles for my GS3, and when I finished empty handed, I decided to buy a lathe and make my own. Once I realised there was no one else doing it, My wife convinced me to start an Instagram page to see if anyone else was interested in some parts. I had no intention of it becoming a business, but it took off like a freight train and 6 months later I was so busy I had to choose between the career I always knew and pursuing this full-time! We all now know the decision I made, and I haven’t looked back since! We are now a business that covers every aspect of coffee machines, from sales, service, full rebuilds, customisation, and even cafe furniture! I absolutely love everyday working with our team and doing what we do! since taking it on full time, how have you seen business grow? It keeps evolving everyday! I went from making timber parts to customising machines, then we added servicing machines, and doing an install here and there. We also make coffee carts and custom cafe furniture! 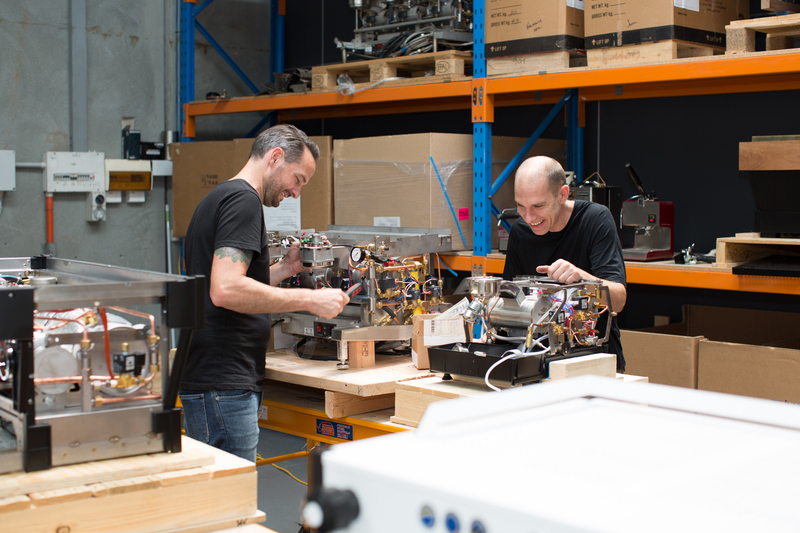 Then I saw a gap in the market for good quality used machines, so we started buying used La Marzocco machines and rebuilding them to the highest quality possible, and allowing people with a smaller budget to be able to afford a really good quality La Marzocco. I know what it’s like for start up businesses, and how hard it can be financially, so to be able to offer them machines at an affordable price is very rewarding. 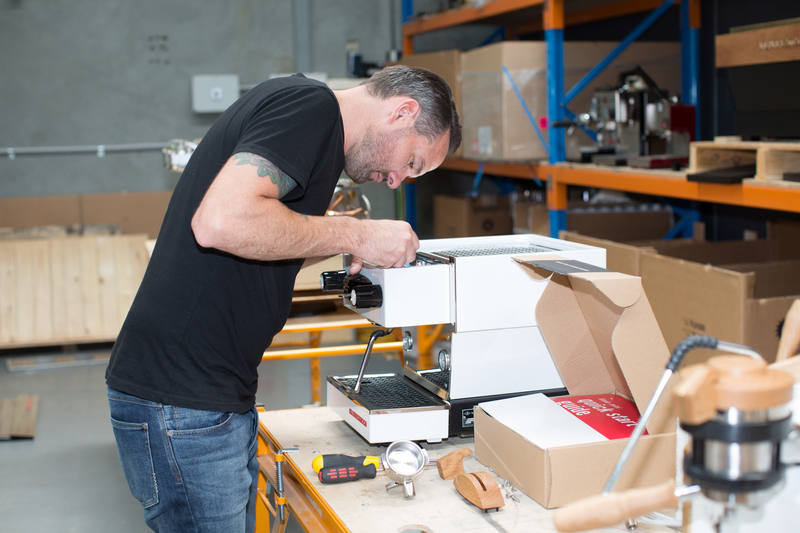 We are also now making trophies for the ASCA (Australian Specialty Coffee Association) which has been awesome! 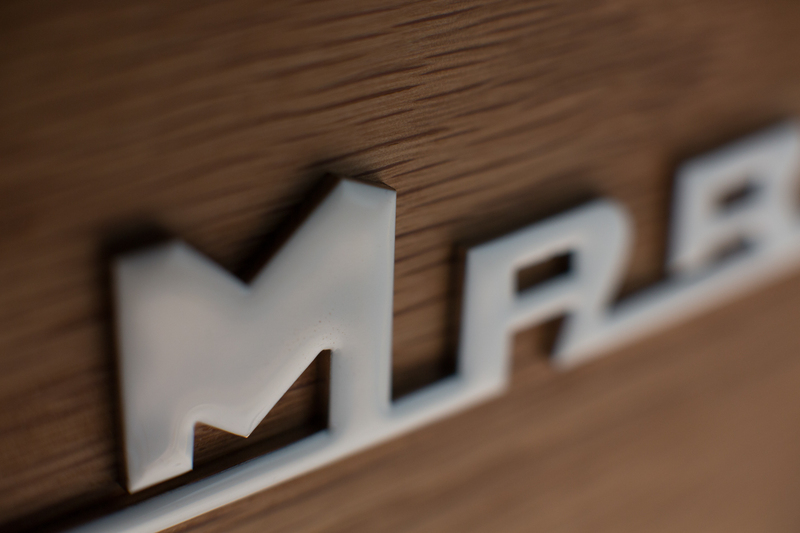 what do you enjoy about working with a La Marzocco? They are just such well built machines and probably the most tech-friendly machine range on the market! They look damn good too and open to endless customisation! I love the history and the family aspect to the business too! 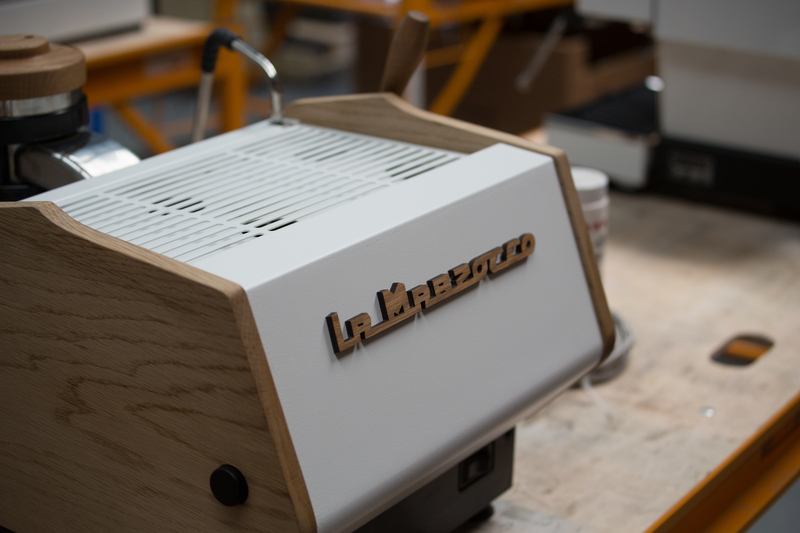 what has been your favourite La Marzocco work to date? 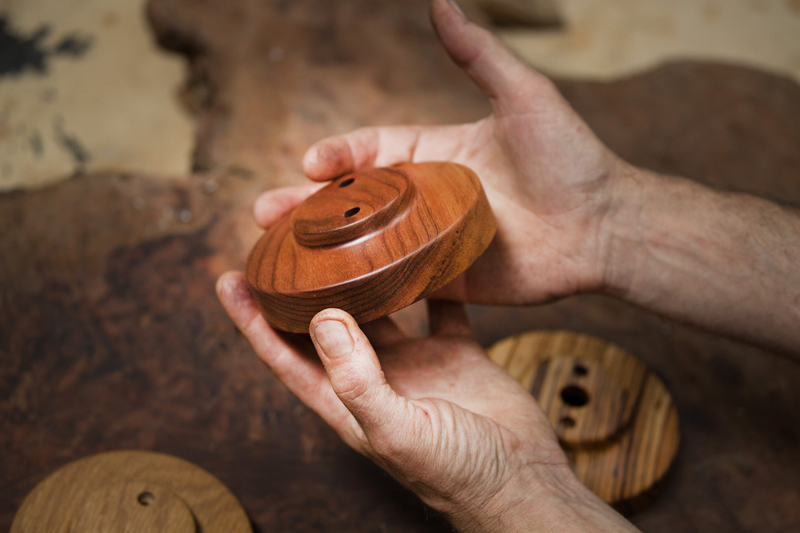 what projects have you got coming up in the workshop at the moment? Oh man, I have so many favourites I couldn’t choose to be honest! 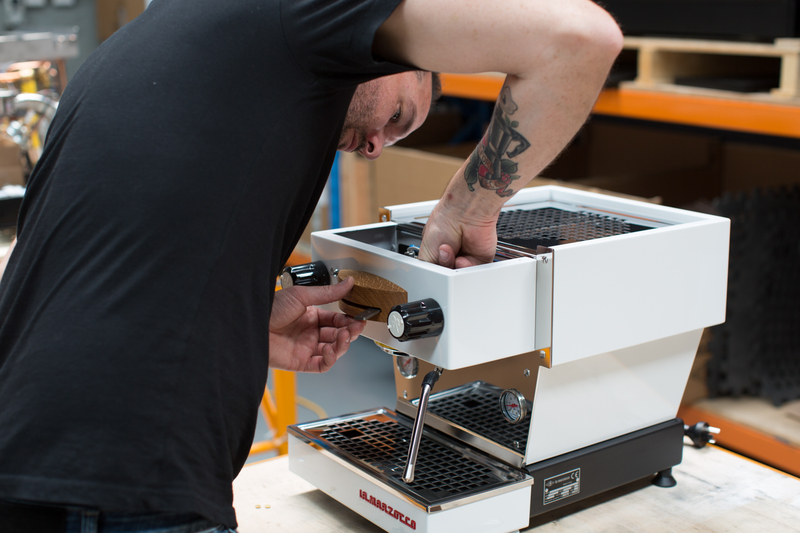 We have a super sweet Strada AV we are working on for Ozone Coffee Roasters at the moment that will be really nice once finished, and will display things we haven’t done before! we also have a few custom body Linea PB’s in the works, and a couple of incredible GS3’s that will be making their home in the USA. talk me through your workshop home set up? 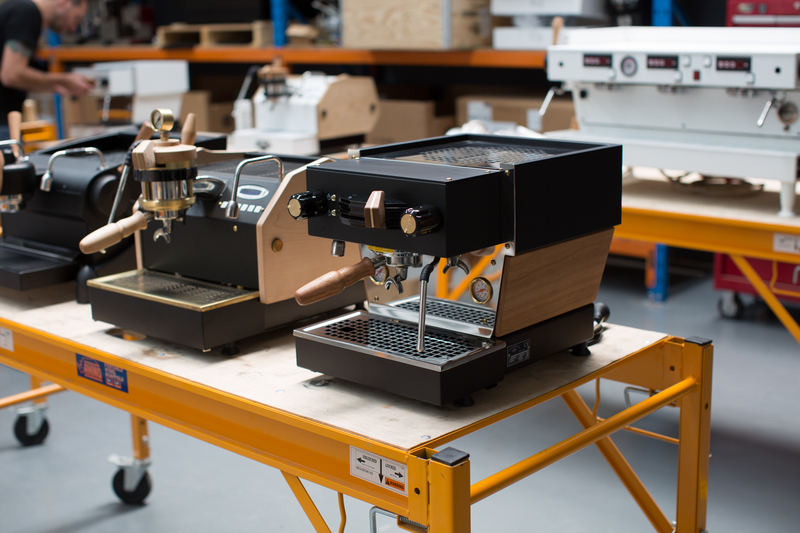 Our current workshop bench set up is a fully customised GS3 MP with a heap of cool features, and a Linea Mini that we have just started customising, that will be a real show stopper! We also have 6 different grinders on display including an EK43, Mazzer Robur e, Mazzer Kony, Mazzer Lux D, Mythos one and a Compak conical burr. My home set up is a Fully customised GS3 MP too, matched with a Kafetek Monolith conical burr grinder. Plus a heap of pour over gear that I’m obsessed with! in terms of the design stages of a custom machine, is it customer driven? The machine design process is a bit of myself and the client. I try to build the design around the interior space and the history of the building. We can also design based on the customers logo and add other elements. We are also very happy to take the reins and handle the full design process for clients. are home baristas able to come and check out the space? how do they get in contact? Absolutely!! We love having home baristas through the space! It’s a great chance for them to experiment with a GS3 and Mini and make their decision based on performance, budget etc. 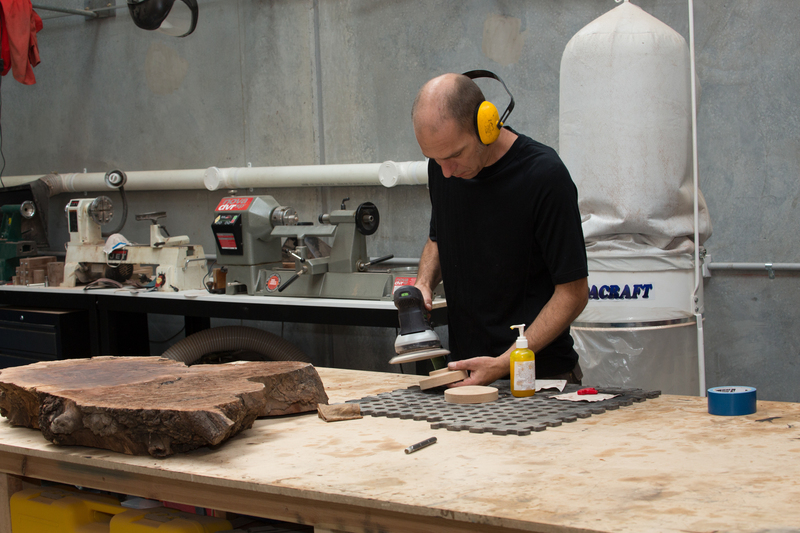 They can also choose from a heap of custom options in person and see how everything is made! 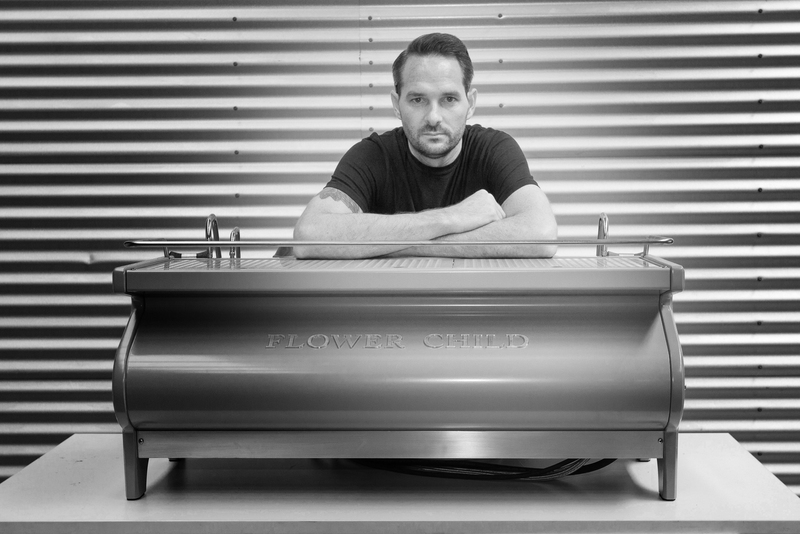 I will personally run them through all the equipment and custom options and make them a coffee or two!